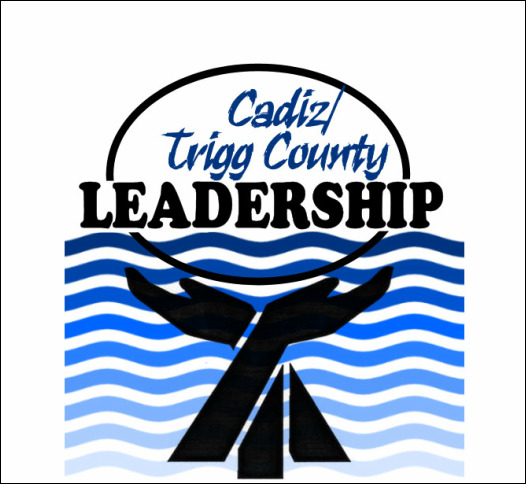 Leadership Cadiz/Trigg County is a program designed to develop the leadership potential existing in our community. It brings together individuals with diverse backgrounds and experiences, who have a demonstrated talent and commitment for leadership. One full day of class every month in various locations throughout the area. Opportunities to network with community leaders and other leadership groups.  Training in leadership skills.  Completion of a community project. It is the goal of Leadership Cadiz/Trigg County to develop a source of informed, civic-oriented, volunteer leaders who are interested in helping direct the future of Cadiz and Trigg County. Provide a systematic, educational program to familiarize participants with the community’s opportunities, needs, problems and resources. Identify individuals who have demonstrated leadership qualities and concern for the community’s future. Participation in LEADERSHIP is a competitive process open to individuals living or working in Trigg County. The Selection Committee will select up to (20) participants who represent a cross-section of the community. Applicants must have the full support of the organization or business they represent in order to commit the time and effort required by the program. It is an honor to be chosen for LEADERSHIP; therefore, there is an expectation that the individual will remain involved in Cadiz and Trigg County in the near future. Selection is based on an application that may be obtained by clicking on the button below and printing and filling out the form, or get an application from the Commerce Center. The form must be completely filled out and returned by either emailing to the email address below, mailing or by returning to the Commerce Center by the published deadline date of MAY 1, 2018. Pending review by the Selection Committee, all applicants will be notified by JUNE 1, 2018 of their acceptance or nonacceptance. Admission is expected to be highly competitive and those not chosen are encouraged to reapply the following year. It is an honor to be chosen for the LEADERSHIP program and, as such, attendance at each and every session, class, and activity is mandatory. This includes the opening and closing retreats, the every month class days, and any other time that is required to fulfill the programs, projects, and community service events. If (only for extenuating circumstances) a class member misses an monthly class session, that individual may stay in the class; however, in order to graduate from the program, the missed day must be completed during the following class year. If you or your employer is unable to make this commitment, it is not in your best interest to apply. A nominal tuition fee is charged for the LEADERSHIP program, which covers all of your meals and instructional materials used throughout the course. The fee is $250 for Chamber members and $300 for non-members. A participant’s employer or business may select to pay the tuition. Tuition deadline is to be announced with acceptance. No refund of tuition will be issued for any reason beyond one week prior to the opening retreat. Please click button below to print application. You must fill out the application and return by MAY 1, 2018!! You may return the application by dropping if off at the Commerce Center, emailing it or you can mail it to the address above.